In view of the challenges the EU’s Southern Neighbourhood region is facing, including those posed by the forced displacement of people, persistent fiscal deficits and the threat of climate change, the European Investment Bank (EIB), the EU bank, and the FEMIP Trust Fund (”FTF”) have proven their worth and stepped up significantly their support to the region. Mobilising EUR 53m of donor resources since 2004, the FTF has financed 77 grant operations in the Middle Eastern and North African (“MENA”) countries, leading to EUR 630m of EIB blended operations that support total investment of EUR 1.35bn. Thanks to the continuous support of 16 EU Member States and the European Commission, in 2017 the FTF approved EUR 9.9m of grant operations, the largest in any given year to date. The FTF has been very successful in deploying capital. Currently, more than three quarters of the paid-in contributions have been approved and allocated to operations. As a result, the FTF is seeking to strengthen its partnership with the Economic Resilience Initiative (ERI), which forms part of the collective EU response to the forced displacement and migration challenges in the region and is being implemented in close cooperation with EU Member States, the European Commission, Donors and other partners. Through the ERI, the Bank is helping the Mediterranean partner countries build up their long-term economic resilience to future shocks and crises. In Lebanon, for instance, our long-term finance to support lending to smaller businesses will sustain 20 500 jobs and enable growth and employment-enhancing investments, helping this country as it hosts significant numbers of refugees. Both ERI and FTF-supported operations form an important part of overall EIB support for improving people’s lives in the Southern Neighbourhood region. In 2017, the EIB provided total finance of EUR 1.9bn, an increase of 17% compared to 2016. In addition to substantially increasing lending to small and medium-sized enterprises (66% of the overall lending volume), the Bank continued to support a number of infrastructure projects that are vital for economic growth, climate action and education. 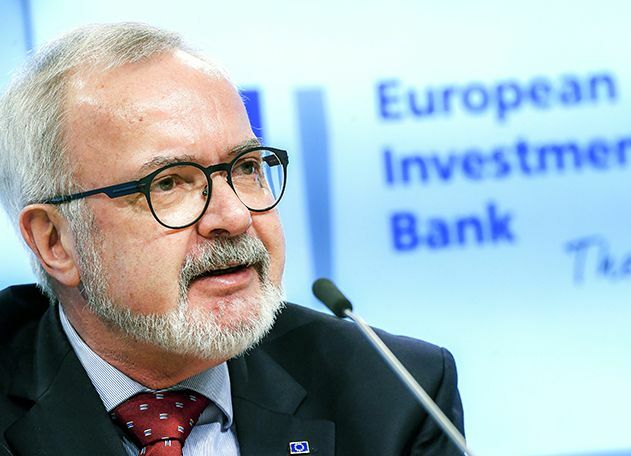 These results have been possible due to the EIB’s unique role as an EU institution – owned by and accountable to the EU Member States – and our dedication to mobilising finance and expertise to implement EU external policies. The FTF has been a key player in the partnership between the EU and Mediterranean partner countries, as part of the process of encouraging political and economic renewal in the Southern Neighbourhood region. I look forward to continuing to strengthen these partnerships, so that – together – we can achieve even greater impact in our neighbourhood.